Managing data may not sound important to a photographer, but if you are serious about growing your business, then it is a key part of doing just that. In this day and age, we have no excuse not to understand how our customers are shopping and where we might find them. There is so much information available about spending habits, which age groups are spending more than others, what their favourite ways of spending money are, how long they take to spend it. There is no hiding place for a consumer now. The key for your business is to understand the data you have about your clients or your target groups, and using that understanding in the right ways to inform your business strategy, marketing and sales tactics. Google Analytics; which turns insight in to action. There are countless software tools to help you analyse your business and sales data, and these help you compare it to established statistics to really see where your potential is. And some of these do not cost a thing, such as Google Analytics; which turns insight into action. Google is online of course and will only track what you have on the internet. So, your website, e-commerce site, social media, partnership platforms. This in itself is very useful and will help you make important decisions on strategy and marketing. For example, you may have tried a series of sales offers via Instagram and the process has been a little hit-and-miss. You will be able to analyse what the traffic levels were for each one, where it came from, how long people looked at certain things. Google will only take you so far, and that may be enough if you have a healthy offline approach, and if you want to take things further the options are fairly endless. Bear in mind that you will be paying for software that you may only use a very small part of, and you need to weigh that cost versus what you are trying to achieve. If you are aggressively using the Internet to further your business, then this may be an investment worth making. 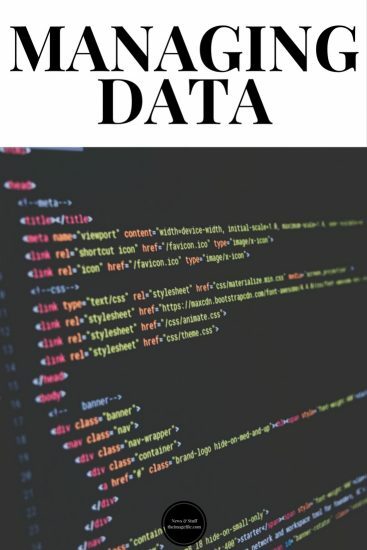 This is also about managing data which you are gathering and finding the best system that works for you and your pattern. If you spend a large amount of time at events and out of the office, being tied to a system that demands lots of screen time may not work for you. Equally, you need to be able to track and record your work, so striking a balance between physically doing your photography and a system that tracks the work you’re doing would be the answer. We are not about to recommend one over the other on here but suffice it to say that the options are endless and doing your research is well worth it. If you get a system of record you are happy with, everything else will follow. It could be down to the cost, the design of the interface, the customer support, simplicity, the ability to bolt on additional systems further down the line, a recommendation from your preferred camera manufacturer. Choose wisely as managing data properly can help grow your business.